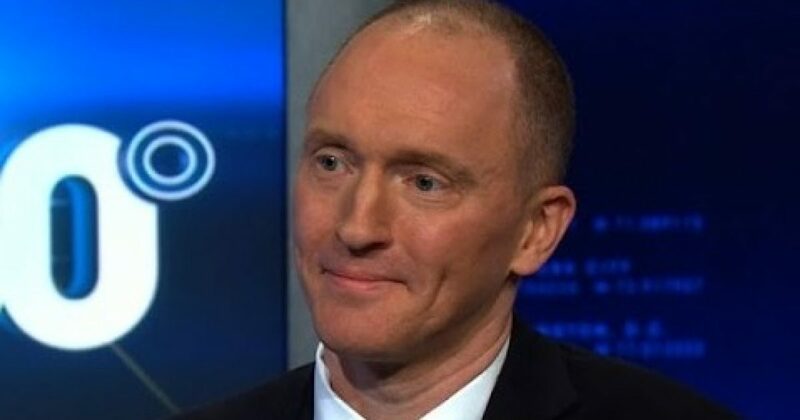 Carter Page Man of Mystery Has A Clinton Connection?! How come this wasn’t widely known until now? It seems pretty viral, doesn’t it? Carter Page, the one time Trump campaign former foreign policy advisor, has a somewhat eerie connection to the Clinton’s. He left the campaign after only a few months following questions about his connection to Russian officials. Later he was mentioned in the Steel Dossier. The 46-year-old is the founder of Global Energy Capital LLC, an investment service company based out of New York. It seems that someone in his position would have clients all over the world. He later stated to Fox News he “became a liability pretty quick” on the campaign because of his Russian connections. This is the first time I have learnt this about Carter Page. Why isn’t it mentioned? He worked with the Clinton Administration transition team between 1992 and 1993.